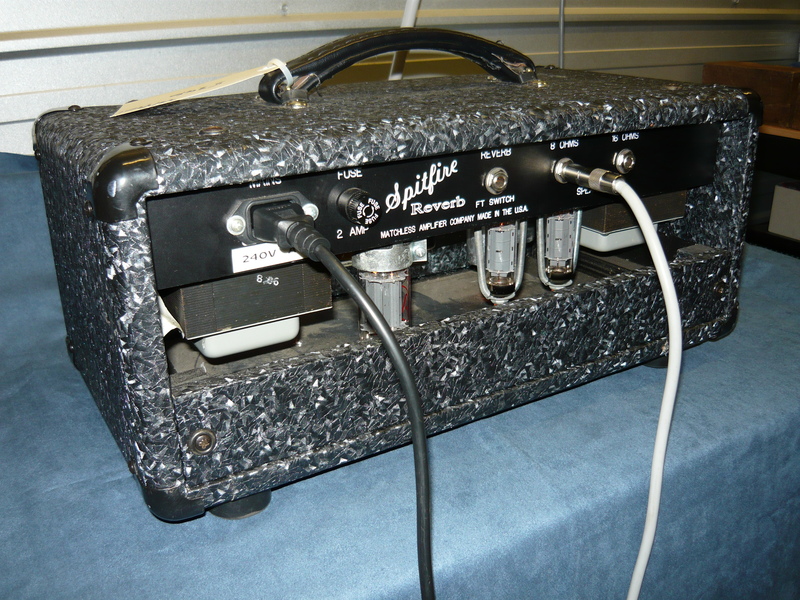 Yes, we specialise in the service and repair of boutique/hand-crafted valve [tube] musical instrument amplifiers, including Matchless and Bad Cat. This particular model is the Spitfire Reverb, rated at 15 watts – just volume, tone, reverb and master controls. Unfortunately, one of the output valves, an EL84, went short-circuit [S/C] internally during a gig, destroying an associated component, and causing much embarrassment for the customer. I replaced the component, and at the customer’s request installed a matched pair of JJ EL84 valves in lieu of the brand which had failed. A power output test, electrical safety test, general checkover and final play test and this Matchless is ready to start gigging again. 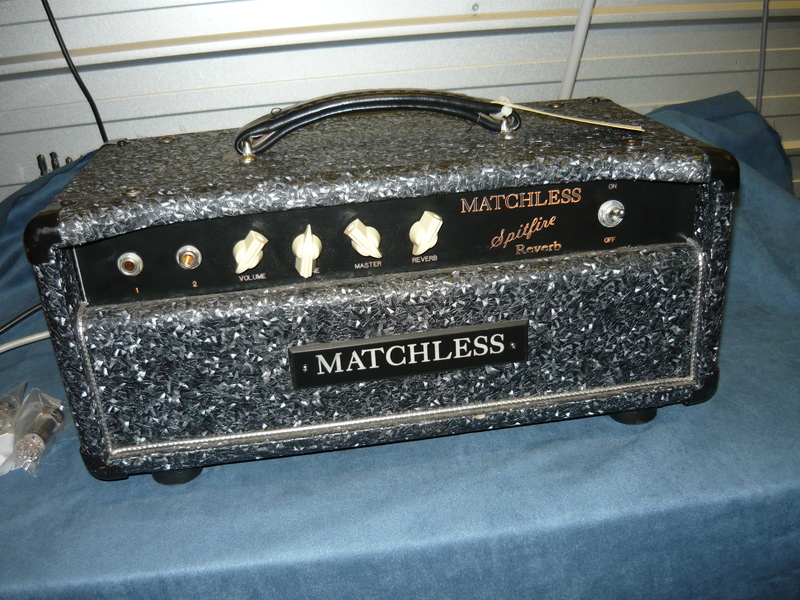 By the way, this amp is bizarely presented in what can only be described as shower-curtain black tolex !! This class of amp is 100% hand-wired with components mounted directly between valve sockets and tagstrips, earth busbars, and so on. Always take your boutique amp repairs to a service tech who is experienced in this technology and who also possesses highly developed soldering skills, so as to minimise the potential intrusive effects of service work on your amp’s performance and resale value. This comment also particularly applies to the hand-wired made-in-UK VOX amps of the 60’s/70’s and 80’s, which have many idiosyncrasies and require specialist knowledge and experience to bring back up to performance standard. This entry was posted on May 27, 2011 at 1:12 pm and is filed under Amp Repair. You can follow any responses to this entry through the RSS 2.0 feed. You can leave a response, or trackback from your own site.